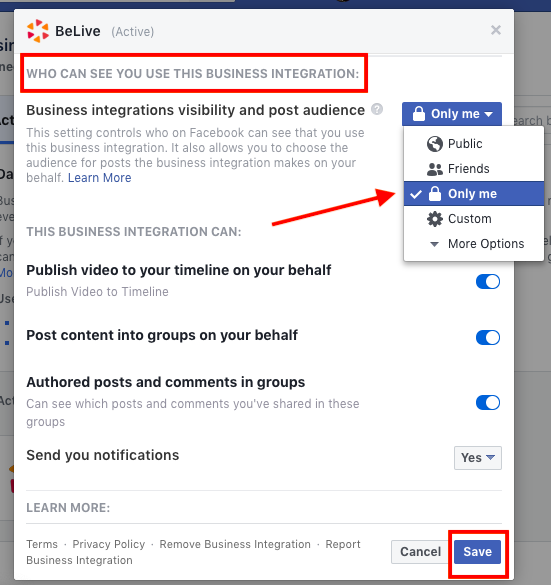 By definition, the business page is always public, so when broadcasting to a page, you will not have a possibility to change privacy settings. 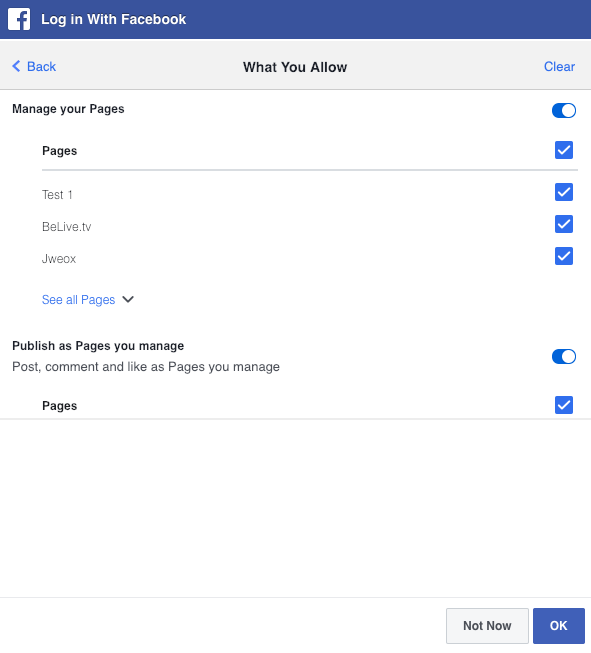 Tip: You can set a specific page as Unpublished so that your broadcasts are available to you only. 1. 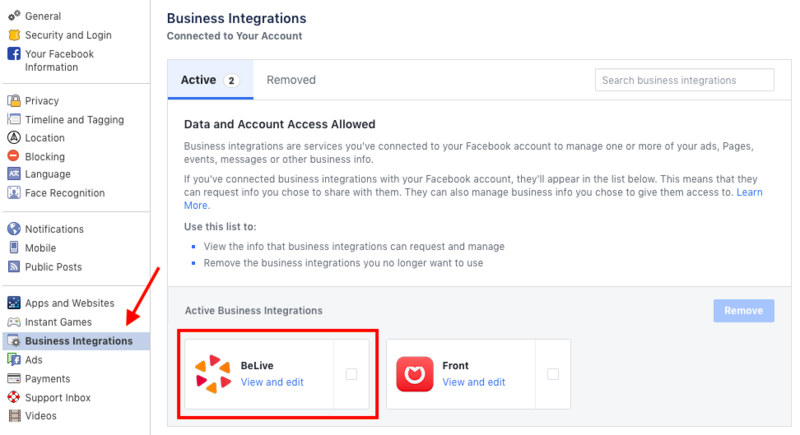 Remove BeLive permissions from Facebook settings. 2. 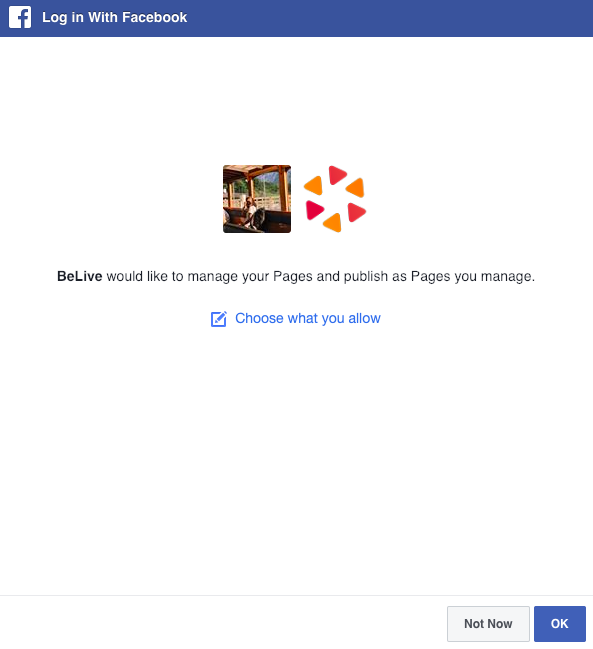 Go through the BeLive create broadcast flow choosing the page you manage as a destination. 3. Once the following window appeared, click "Choose what you allow." 1. Go to a specific group where you're going to do a livestream. 2. Under "More" find the option "Edit Group Settings". 3. 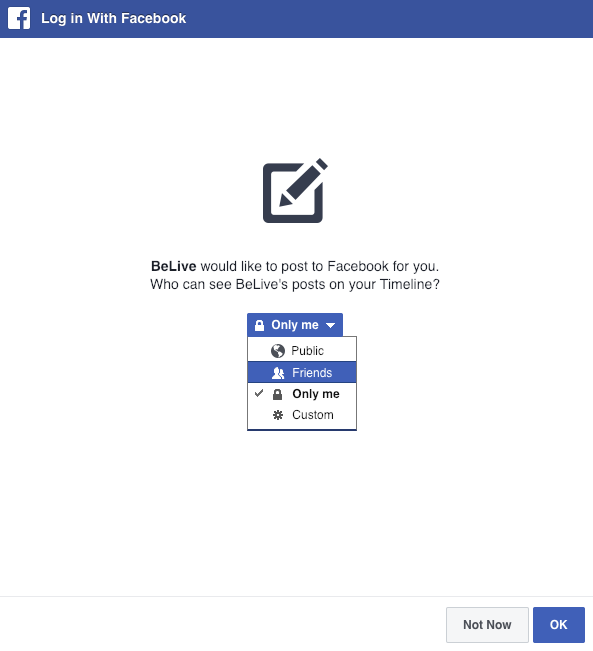 After that, find the Privacy settings and select the option that better fits your needs. 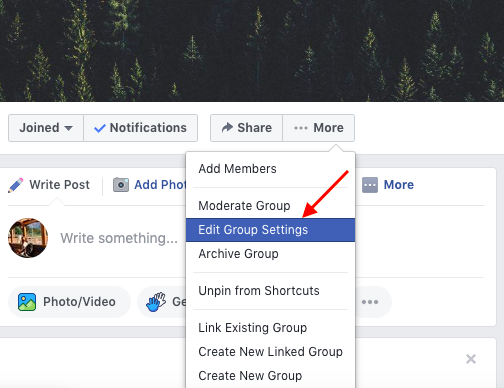 In case you want to share the post with broadcast to other pages/groups, it's required for your page/group that was selected as the main destination to be public. 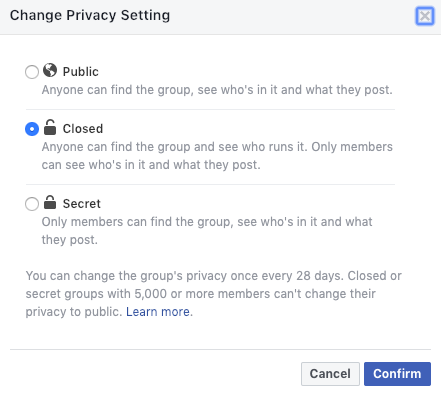 Keep in mind, it's not possible to share posts from the closed/secret group. 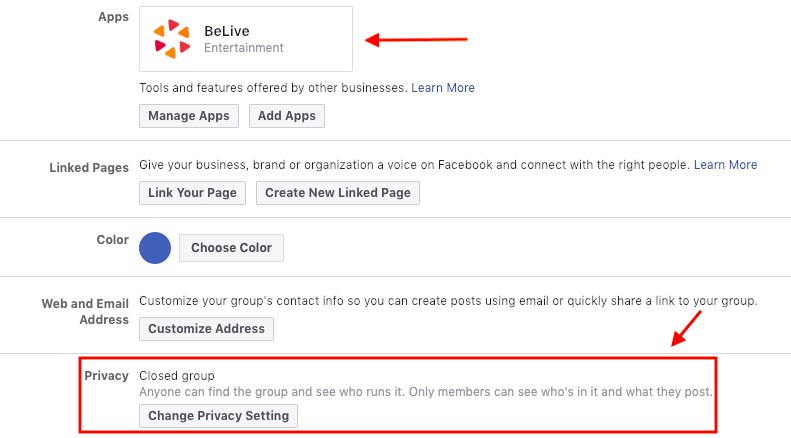 If you created a broadcast on your timeline with limited access (set to "Only me" or "Friends"), you will be able to share it to the group BUT NOT TO THE PAGE! 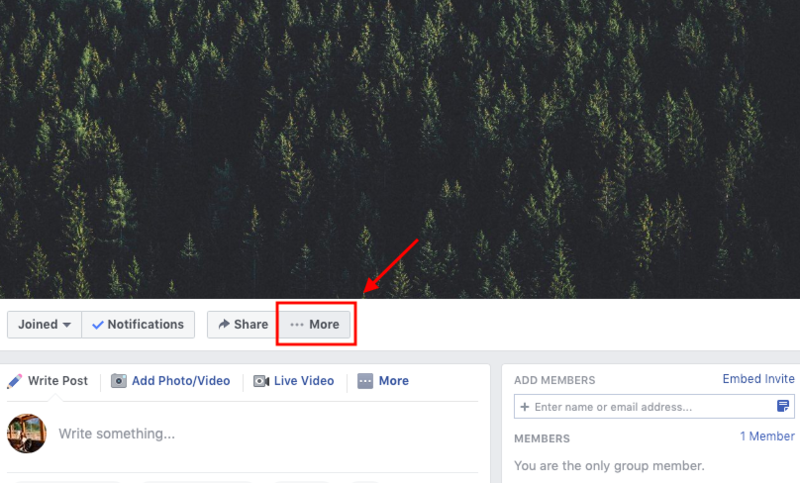 Remember that even shared to the group, only specific audience will be able to see the shared post. Now you changed your privacy settings and ready to go live.